This hill was listed in the Hills to be surveyed sub list when the original Welsh P30 hills were published on Geoff Crowder’s v-g.me website as it did not meet the criteria then used for the main P30 list; however this list has now been standardised and interpolated heights and drop values also included, resulting in this hill being listed with an estimated c 32m of drop, based on the 296m summit spot height that appears on the Ordnance Survey 1:25,000 Explorer map and an estimated bwlch height of c 264m based on bwlch contouring between 260m – 270m. This drop value was later amended to c 33m based on the larger scaled contours on the Ordnance Survey Interactive Coverage Map hosted on the Geograph website. 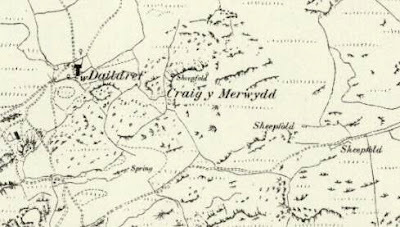 The name of the hill is Craig y Merwydd (composition given as Craigymerwydd on contemporary maps) and it is adjoined to the Cadair Idris group of hills, which are situated in the south-western part of North Wales (Region A, Sub-Region A3), and the hill is positioned overlooking the A 493 road to its north-west and has the small community of Arthog to the north. 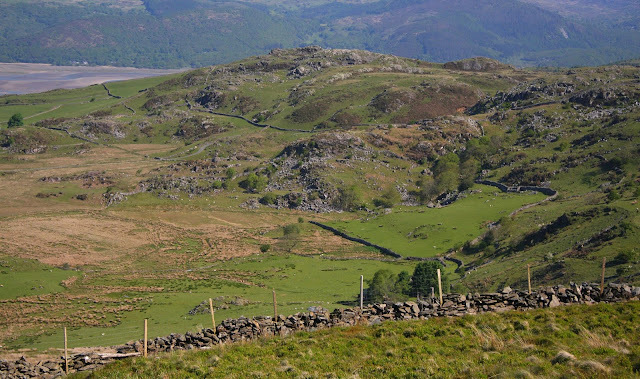 As the upper section of the hill is a part of designated open access land an ascent from most directions is feasible, with a minor road to its immediate south giving the easiest option. 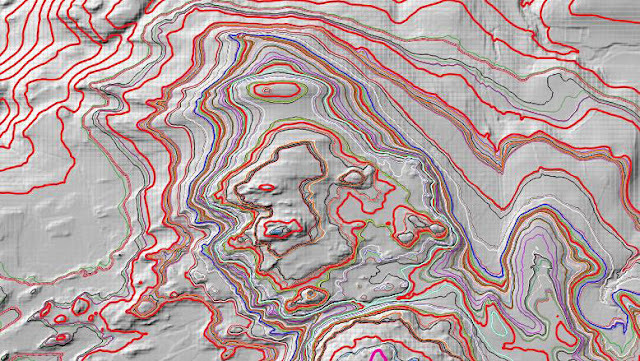 The confirmation of the reclassification of Craig y Merwydd to 200m Twmpau status is due to LIDAR analysis conducted by Myrddyn Phillips. 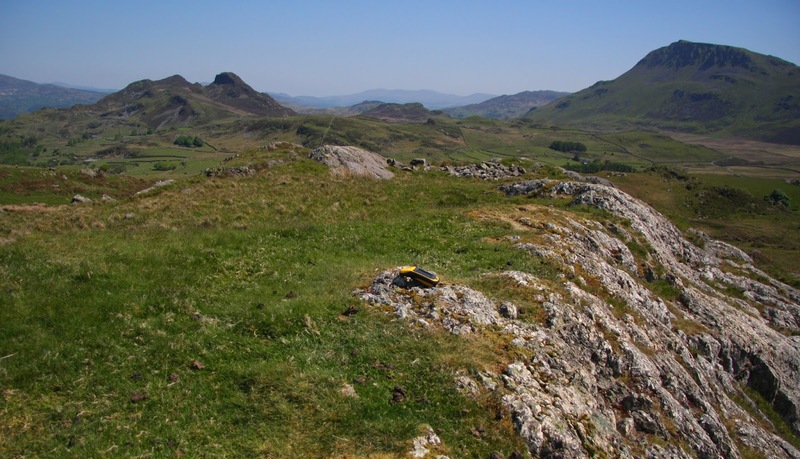 The LIDAR (Light Detection & Ranging) technique produced highly accurate height data that is now freely available for much of England and Wales. Therefore, the 295.5m LIDAR analysis for the summit position at SH 64413 13459 and the 261.0m LIDAR analysis for the bwlch position at SH 64606 13315 gives this hill 34.5m of drop, with the details from the Trimble GeoXH 6000 survey being 295.7m (converted to OSGM15) summit at SH 64413 13459 and 261.2m (converted to OSGM15) bwlch at SH 64605 13317, giving this hill 34.6m of drop, which confirms its reclassification to 200m Twmpau status.